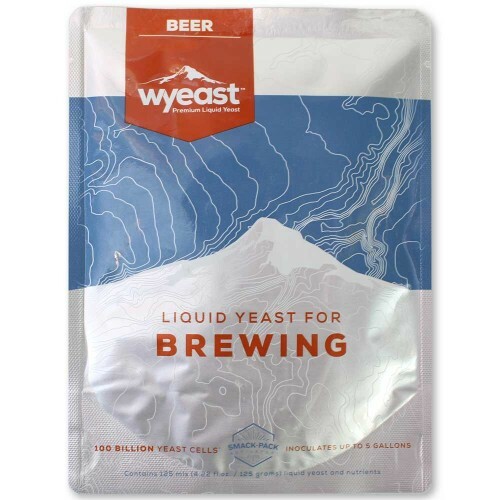 Wyeast 1187 Ringwood Ale Yeast - Texas Brewing Inc.
Wyeast 1187 Ringwood Ale yeast has unique fermentation and flavor characteristics with distinct fruity esters and a malty complex profile. The beer will clear well without filtration. Recommended Styles include English and American Porters, Dark Mild, American Brown Ale, London Brown Ale, American and Speciality IPAs, Sweet/Oatmeal/American Stouts, Fruit and Spice Beers. This yeast can be a slow starter and fermenter. A diacetyl rest is recommended at the end of fermentation.